The doctors and staff at Mt. 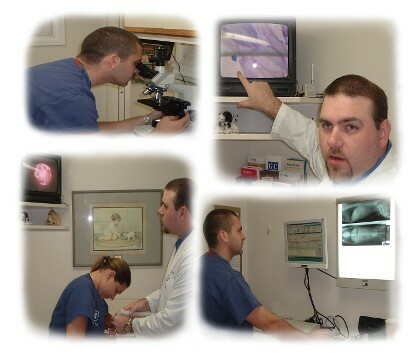 Houston Animal Clinic believe in the importance of effective communication with our clients. We won't just explain to you what is going on with your pet, we'll show you. We believe that technology is a valuable tool, not only in diagnosis and treatment, but in education and communication as well. That is why we stay on the cutting edge of technology to bring added value to the services you receive from our clinic.